TOUGHEST HAY BALE BLIND IN THE NATION!!! 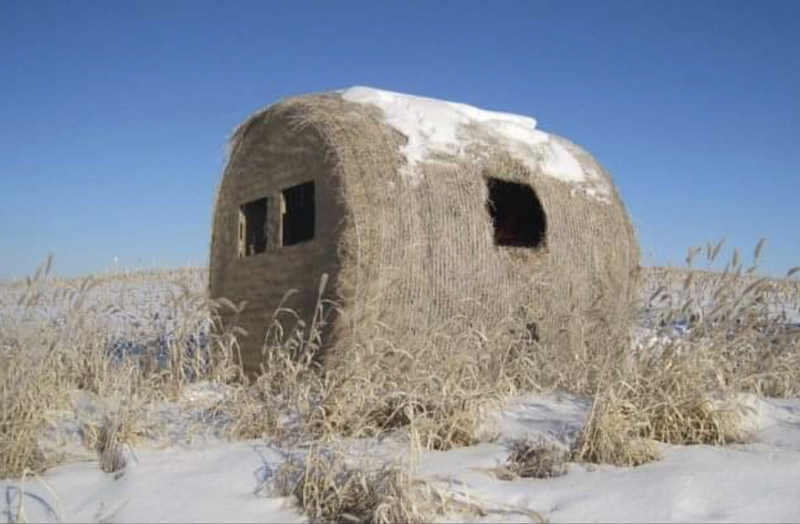 Prairie Hunting Blinds are a portable but heavy duty round bale blind. They will not blow over in the Midwest winds. How many times do you set up a "pop-up hunting blind" ﻿and come back the next day to find it flat on the ground? Or if you have a really hot hunting spot and no trees in shooting distance, this is what YOU NEED. They work great for ANYTHING from deer, antelope, turkey, predators and NOW WATERFOWL. If you hunt with a bow, gun or even a camera this is what you need. Where do you hunt and not see a round bale in the area? If you are looking to get up close with what your hunting, this is what you need. You can use those "popup hunting blinds" but the animals will spot it a mile away. What animal will be looking for a new round bale in the area? They work great! We have had deer walk right by them and even lay right next to them to get out of the wind!!! These blinds will help you stay out in the field for the whole day regardless of wind, rain, and snow. Now you can bring your kids or grandkids and they can move around without being seen or heard. The real hay covering acts as insulation and keeps the warmth in; and cold and wet conditions out. They are 6ft tall ,6ft long and 6ft at the widest part of the bale; and weigh about 150lbs. One person can slide them on a trailer alone. These blinds are one of the TOUGHEST and NICEST Round Bale Hunting Blinds ever built. They are made to handle any conditions. What portable hunting blind can you stand on top of? What portable hunting blind can you put on a trailer with a couple straps and go down the interstate at 75mph and not damage a thing? The answer is PRAIRIE HUNTING BLINDS!